Not long ago, reaching audiences through technologies like email was considered breakthrough. Fast forward to today, a hyper-accelerated existence in which the average human checks their smartphone over 150 times daily. Every time we click, swipe, like, or subscribe, we send a digital signal to some company, somewhere. That means that this phone-twiddling translates into the average enterprise dealing with somewhere between 200 and 300 million digital signals per day, yet most can barely handle about 2 percent of that data. This implies companies attempt to make sense of around 4 million signals every single day—which is still far too many to analyze, interpret, and respond to quickly. As for the 98 percent of the signals organizations can’t handle, massive amounts of opportunity and insight are lost. AI—whereby machines emulate intelligent behavior—already affects nearly everything you buy, watch, invest in, and more. Most of us can draw on consumer experiences influenced by AI, like Netflix recommendations or suggested purchases from Amazon. These use cases, while consumer-centric, are making their way into the enterprise. Every executive I interact with wants to understand how their organization can capitalize on these developments, yet many are unsure how the technology will affect their employees. We have a long way to go before AI can replace the capabilities of a human being, but AI can already endow employees with incredible power and insight when they need it most. The trick in leveraging AI to its fullest is found in converging the right data, technology, and talent. AI extracts and reveals important signals at volumes well beyond human capability. So what impact will AI have in enterprise organizations, both big and small? I prefer to get a little more granular for the sake of clarity: How will AI benefit front office businesses like sales and marketing? The answer is that it will make engagement more personal while enabling organizations to scale. In the age of big data, AI will actually seem more genuine than human beings, in many instances. To embrace that, you must consider the reality of the technology we use to engage with customers today — solutions like CRM and, of course, marketing automation. What I am getting at is that enterprise organizations are becoming more autonomous, thanks to technology. The first generation of automation was human-defined, and now we’ve entered the next generation, where the machine augments what we do semi-autonomously. Think you plus the machine. For proof, look no further than the colossal volumes of data you’ve spent the past decade gathering. The natural next question is “What do we do with all the data?” That’s where AI comes in. AI finds critical signals and, if properly leveraged, provides insights that employees can act upon. AI optimizes human capabilities against a rapidly growing number of digital and physical activities. And that positions enterprises to listen and respond in unprecedented ways. Leveraging AI in just one line of business affects all areas of a business. In fact, we’re already seeing AI’s impact in marketing technology in a big way. By extracting insights from both structured and unstructured data, AI empowers enterprises to produce more personalized interactions with buyers. Think Amazon’s predictive product recommendations, Estée Lauder’s messenger chatbots, or 1-800-Flowers’ Gifts When You Need. To make the most of AI, executives need to evaluate top initiatives where technology can be applied to streamline processes and drive productivity and revenue. In marketing and sales, possibilities include preventing customer churn, improving prospecting and closing, and boosting employee engagement. To capitalize on the power of AI, enterprise organizations need a strategy, starting with defining the opportunity or problem to be solved. This is much the same as the approach taken when “business intelligence” first appeared on the enterprise scene: You have to define expected outcomes to make effective use of the technology. Once businesses know why they want to apply AI, they need to assess and map the systems driving engagement with employees, customers, and buyers. In marketing, for example, AI can only empower people via systems of engagement, which depend on connecting your people, data, and pieces of your tech stack. Enterprises should look at AI as a collection of instruments driving company performance holistically. In this first generation of AI, many vendors are introducing AI into existing line-of-business technologies. This means enterprise organizations will replace their current marketing and sales technology with AI-powered versions. One critical component to success in this phase is defining how employees use these technologies to reap their benefits. Ten years ago, big data was associated with big anxiety for many organizations. Today, it’s AI that’s causing concern. But fearing the unknown isn’t a practical response. Moreover, those fears are largely unwarranted. Here’s something to keep in mind: There won’t be a one-stop AI shop, just like there’s not a single mobile app, web app, or tech stack. Every enterprise uses a group of technologies and applications. All of these will be refreshed by AI, which will enable them to drive the next level of human productivity. 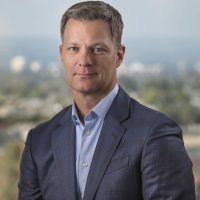 As the chief executive officer of Marketo, I’m fully expecting that my marketing, sales, and other key technology stacks are going to deliver me and my teams the signals that will drive performance, courtesy of AI. I welcome this change and invite you to do the same. Your mission is to prepare your employees to embrace this evolution so they can act upon the signals in the noise, harnessing the full potential of AI. This article originally appeared on VentureBeat.com on November 3, 2017.